More and more companies nowadays have resorted to outsourcing in order for them to cut their overhead costs. Moreover, a lot of companies in the United States and in Europe had paved the way for the increase in the employment rate of some of the developing countries such as India, China, and the Philippines. 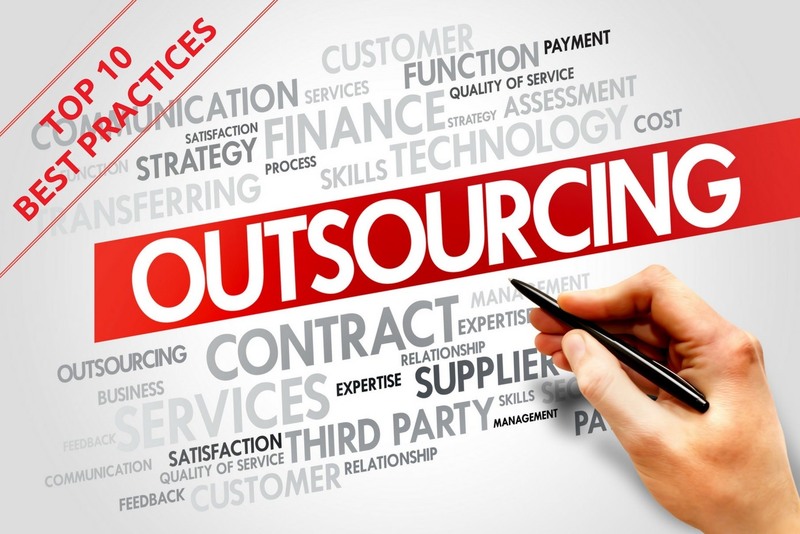 Outsourcing, however, is not just delegating tasks and/or getting the service of a certain provider and providing employment to low wage countries. There are some rules and practices that the companies must learn and follow in order for them to be successful in this field and gain an even more increase in their profits. The usefulness of the relationship between the key management personnel of both teams depends on good understanding and strong working ties between them. Studies on outsourcing success stories have demonstrated that working chemistry in management and peer friendships among employees have proved to be important determinants in forming long-term relationships that yield real value. Define your project requirements up front. Service providers need accurate, complete information to present you with realistic proposals and to quote you a good fixed price deal. Give vendors as much information as you can about what you need to be delivered and the way in which you need the work done. Also, be clear and realistic about your schedule requirements - project schedules can have a huge impact on project costs. Make sure your service provider has the specific experience your project requires. You don't want to be somebody's experiment. This is especially crucial when outsourcing complex software development projects. Experienced outsource buyers who evaluate hundreds of proposals almost always recommend discarding the highest-priced and lowest-priced bid. Buyers report that their most successful projects are the ones where they felt the vendor offered a balance of good value and quality results. Examine the vendor's previous work (their "portfolio") and make sure that their previous work meets your expectations for quality and style. If you've evaluated a vendor's portfolio, references and previous experience and are still unsure of their capabilities, consider asking them to do a quick mock-up or provide a basic outline of a work plan. A service provider who really wants to win your business might be able to give you a rough concept so you can better understand their approach to solving your problem. But never cross the line between asking for a mock-up and insisting that a vendor provides you with finished work "on spec." No qualified professional expect to work for free. When engaging with a service provider for the first time, start with a project that is relatively small and simple in scope. This will give you a better idea of the provider's style and capabilities before you entrust a "mission critical" project to them. Just as you should be clear about the project scope, make sure that you define a work plan for your outsourced project with clearly defined milestones. Having scheduled checkpoints where you review the status of the project as it works toward completion - is an easy way to ensure that you meet your final deadline and that the final product meets your standards. Tie the vendor's payment to these milestones. A good guideline for IT and software development projects is to pay no more than 20% to 30% of the total project price up front, with the rest of the payments awarded based on the completion of 3 or 4 milestones. For any type of outsourced project, make sure that you are clear about who owns the resulting work product and any important components of that product. Make sure the service provider understands how you intend to use the deliverables that they are agreeing to provide. For example, the custom software application for your personal use would be substantially different from the development an application that you intend to package and resell. For technology projects, it's a good idea to specify a warranty or support clause so that you are assured of some amount of continuing support from the vendor after the project is complete. It's much easier to negotiate a support clause before the service provider begins work, rather than after the completion of the project. The parties involved in an outsourcing relationship belong to distinct cultures, these differences have to be accepted and bridged. The cultural understanding between the two organizations can be enhanced by organizing social events, educating about company background, participating in each others' quality programs, etc. Communication really is the key to a healthy relationship. It may be helpful to send a loyal employee to the BPO site for a few months to facilitate understanding in the implementation phase.